Teaching the Saints highlights the unique ways that God calls us to use our gifts to serve the Church and world. 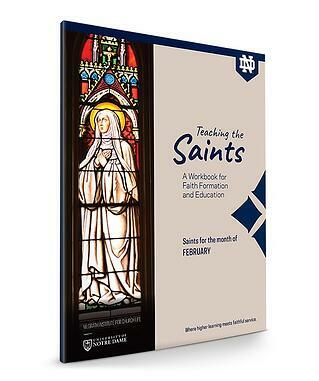 The workbook can be used for faith formation and Catholic education. The saints selected for each month are drawn from the "Witness to Holiness" collection from Notre Dame Vision, a high school conference hosted by the McGrath Institute for Church Life at the University of Notre Dame.